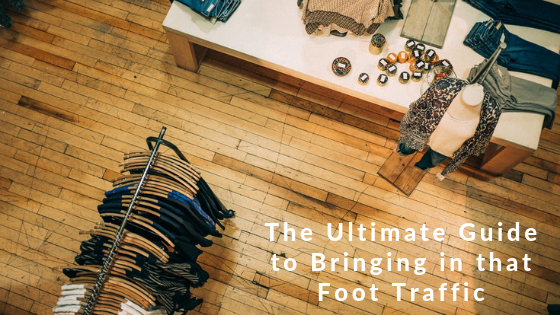 If you have a physical retail store, one of your main concerns is going to be bringing in as much foot traffic as you possibly can. Below, we have some pointers that just about any retail store can use to bring in foot traffic. Take a look and see what you can begin doing today. It’s pretty obvious that a wonderful window display will attract people and make them want to come into your store to learn more. Make sure you display your best items here – you can even put some out of the front of the store if you’re confident that they will be safe. Try to tell a story with your window display, and keep it current. If it’s Valentine’s day, for instance, try to put together a Valentine-themed display. You should keep it clean and tidy, and use bold colors and shapes to make it stand out too. You should have a memorable, attractive sign pointing out your store. Have this made by a professional company – you should have professional signage designed in fonts that are easy to read. Keep them short, to the point, and try to have a little fun! Many retail stores have started utilizing sandwich boards outside the front of their stores so they can draw people in. They tend to write humorous things on these sandwich boards in order to attract customers. Here are some fun examples that could inspire you. Keeping your storefront tidy is a must. Make sure you stay on top of your displays and stock rotation, as well as keeping the outside of the store tidy. You can look into aluminium canopy manufacturers to help protect your store from the elements. You should ensure your employees look busy if you’re going to bring in foot traffic. Nobody is going to want to visit your store if everybody looks bored! Make sure you invest in employee training, too. They should offer amazing customer service, going above and beyond for your customers. Ensuring your employee’s care is crucial for bringing in even more foot traffic, as it’ll help your reputation. 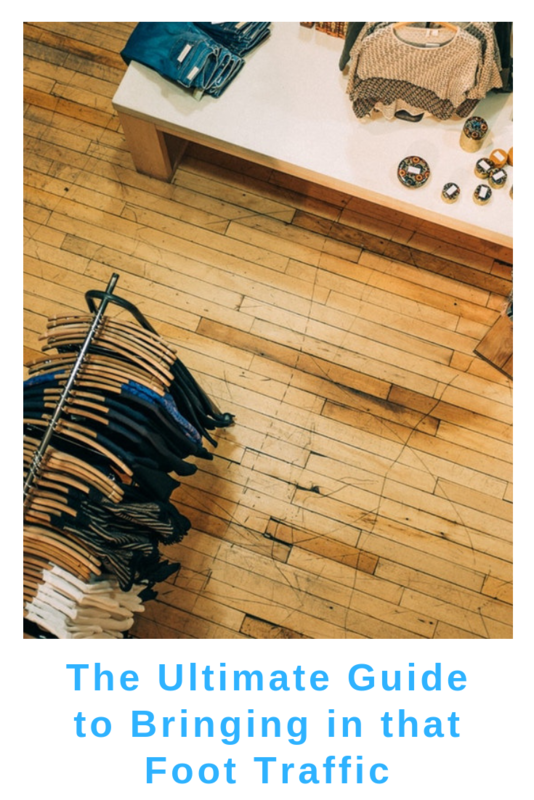 Although you have a physical retail store, working on your online presence is essential, too. Make sure you have social media platforms and a website so that people can learn about you and find you before they come to visit. They might be looking for what you offer, but if you’re not there they will go elsewhere. Events give people the chance to enjoy opportunities that they won’t find in other stores. You could even make these events more exciting by working with other brands or individuals that suit your brand. You will benefit by drawing in more traffic, offering something unique, and growing your relationships with organizations and individuals in your community. What tips and tricks do you have for bringing in foot traffic? Being an entrepreneur is a great accomplishment I think, you get the stability that you need when you become successful, and you have even more time to spend with your family. If you have a good work ethic and motivation, starting an online business may just suit you, but it is hard work. As long as you don’t give up and learn as much as you can, you will definitely see the results you want. Hi Ty, I agree. There are many benefits to building an online business vs an offline business. Many entrepreneurs combine both. And I guess you could adapt these tips to an online business. Your shopfront would be your website home page or landing page, for example. Thanks for popping over to comment.